Restylane is a cosmetic dermal filler that replaces lost volume and restores youthful contours to the skin to smooth away moderate to severe facial wrinkles and folds, such as the lines from your nose to the corners of your mouth. (nasolabial folds). Restlyane is the number one selling dermal filler in the U.S. and worldwide. Restylane products are proven to deliver long-lasting results. Restylane lasts about 6 months. Restylane Silk is the first and only FDA treatment to specifically address lips and the fine vertical lines around them that can cause lipstick to feather, aging the appearance. Lip tissue is different from the skin of the rest of the face. As we age, lips change and the lines around them become more noticable. The muscles that surround the mouth can flatten and shrink, making the lips appear thinner and less shapely. With its refined smooth gel formulation, Restylane Silk allows for a more subtle result. You can now get enhanced lips that look natural. Restylane Lyft is the first and only FDA approved filler that treats two areas of the face: midface and nasolabial folds. Over time wrinkles around the nose and mouth deepen. Cheeks that used to appear full and taut suddenly seem to sag and droop. Restylane Lyft addresses the signs of aging by using a safe, highly effective and nonsurgical filler. It provides long-lasting results for cheeks and age lines. 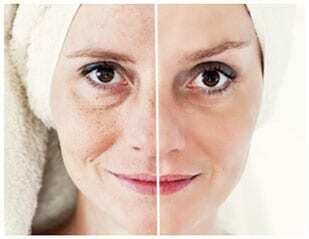 At our medical spa, we offer Restylane injections to those looking to reduce the signs of aging. Restylane is designed to smooth out your skin, diminish the appearance of lines and wrinkles, and bring out the best of your features. -Avoid using aspirin, non-steroidal, anti-inflammatory medications, St. John’s Wort, and high doses of Vitamin- E supplements prior to treatment, because these may increase bruising or bleeding at injection site. -Inform your physician if you have recurring face sores or a history of Perioral Herpes to receive advice on antiviral therapy prior to treatment. -After injection of the dermal filler, it is very important that you do not move the treated areas for 2-3 hours. This helps the filler “settle into place.” The area may remain red and somewhat swollen. -Avoid alcohol after treatment as this can thin your blood. – We will provide you with instructions for massaging, manipulating, and or icing the area. -You may experience some mild swelling or bruising in the areas treated with Restylane. This is normal and generally subsides within 2-3 days.